In this next instalment from the AlcoDigital WhatGear Challenge AV Dave witnessed something not seen for many years - The GamesMaster (Troy) getting the beers in! So round 2 was on and the GamesMaster took an early lead in the first round by blowing a reading of just 0.25 mg/L to AV Dave's 0.30 mg/L. If by this point you're not sure what I am talking about then you might want to check out The AlcoDigital Challenge Episode One. Prior to the start of the challenge I would have thought that those readings sounded low but both of us in the dynamic duo were in fact over the Scottish legal limit but we were still just under the English legal limit. However our AlcoDigital guru Claire quite rightly pointed out that while we were under the legal limit to drive in England we were in fact 3 times more likely to be involved in an accident after drinking just 1 pint of Larger, and if we were breathalysed at the scene (despite being road legal) the police would put the cause of the accident as drink driving - a sobering thought indeed! Alcohoot is an easy, accurate tool to help you track your body’s reaction to alcohol and become a smarter drinker. It uses an FDA-registered fuel cell sensor, the same technology used by police and military devices. Plug it right into your headphone jack, and you’re ready to go. Learn your drinking habits, enhance your lifestyle. Alcohoot is the world’s first law enforcement grade smartphone breathalyser. 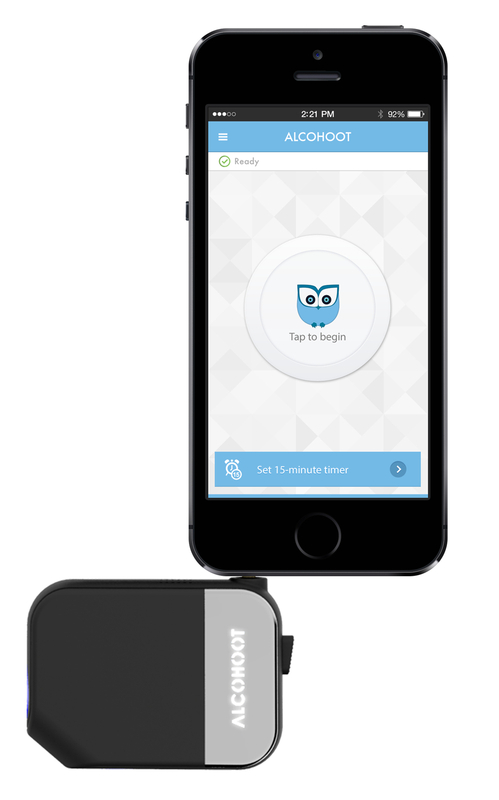 The small device along with the Alcohoot mobile app enables you to test your blood alcohol level quickly, accurately, and easily. The app tracks your results, can order you a taxi, and show you open restaurants nearby. 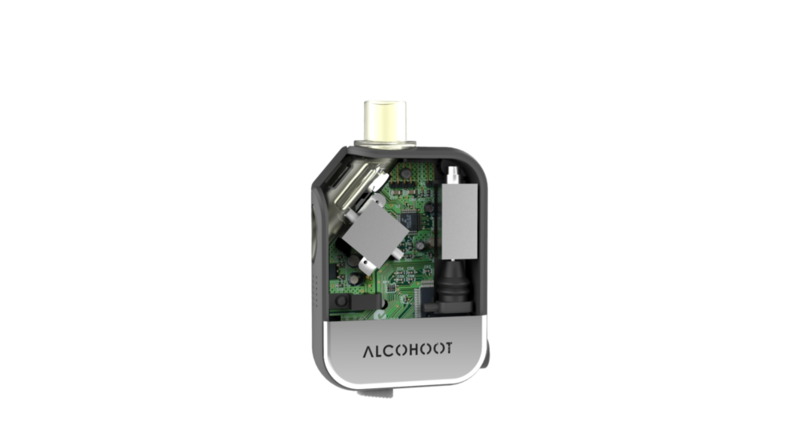 I found the AlcoDigital Alcohoot easy to use and it's small size means it's no problem to carry around with you, although I must say I can't see myself taking this to the pub and doing a breathalyzer test after a few drinks. Bottom line I wouldn't need to because I just wouldn't take my car on a night out and I would definitely recommend using the Alcohoot for checking yourself the morning after. The AlcoDigital Alcohoot is available in 3 colours and comes with a UK based 12 month warranty and is eligible for free UK Delivery. The Alcohoot is available direct from AlcoDigital's sister site breathalyzer.co.uk for the modest price of just £99.95 - lets face it we have all spent more on something far less useful than one of these! Smartphone App can order you a taxi or show you restaurants open near by. Small & compact size - easy to carry with you. It has two mouthpiece points due to allow for various headphone jack points on different phones making it compatible with a wide range of smartphones. As the Christmas party season is fast approaching - Yes I said the C-Word! 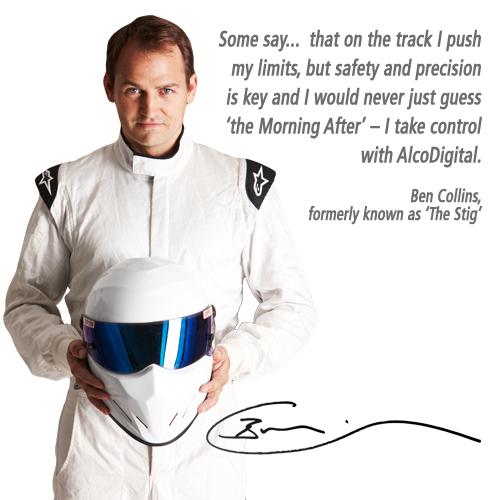 AlcoDigital have very kindly given you lucky readers a discount code that will entitle you to 15% off this or any of the fuel cell range breathalysers available from AlcoDigital. from now and until Jan 2016. Simply enter the code WG15 in the checkout. The only safe limit is ZER0.